While driving through old town Roswell, Ga, the other day we stopped at a completely unique and totally fun, shop called Oli+Ve Premium Oils & Vinegars. Jughandle has only recommended a handful of places to our readers. This is one to pay close attention to. As the name suggests, the owners are proprietors of fine Olive Oils and Vinegar. 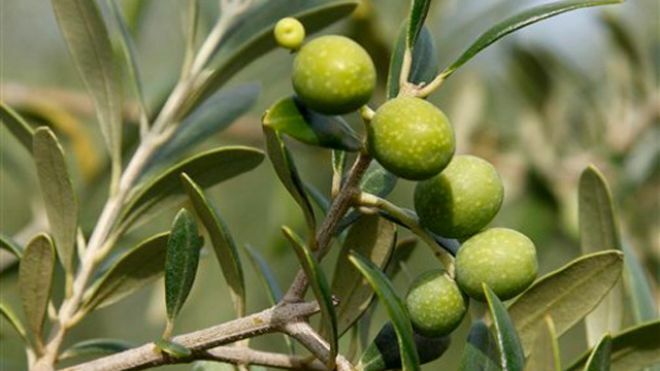 We here on the Farm have been searching high and low for a good consistent reasonably priced source for olive oil for a long time. The bonus with Oli + Ve is the amazing collection of quality balsamic vinegars. If you click on the link above you will be taken to the shop’s online store where you can purchase and have shipped to your home, their products. Obviously, you will realize a saving of at least the shipping cost by visiting either of their two stores. They also have cooking classes and recipes available. The available oils vary by season and range from mild to full intensity flavors. This being the winter season in the US, the available oils are from Sicily, Australia, Portugal and Chile. You can sample as many of the oils as you would like to, try that at Kroger, with the recommendation of the owners to go from mild to medium to Robust flavors and then to the flavored oil and finally the vinegars. Prices for the oils are $9.95 for a 200 ml bottle, $17.95 for a 375 ml bottle and $29.95 for the large 750 ml bottle. 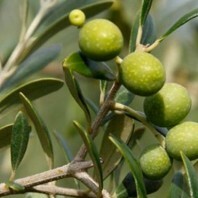 All of the offered oils are of the Extra Virgin or EVOO type, which is the highest quality oil available. While the “single” variety EVOO had 9 different oils to chose from at our visit, there are also a number of Flavored or infused oils ranging in flavor from Basil to Blood Orange, Butter, Cilantro & Roasted Onion, garlic and Eureka Lemon. To be honest we were a touch overwhelmed by all our options, so we chose to sample just the single variety and a handful of the vinegars on this trip. Also offered are 4 specialty oils which we chose not to sample this time, but I look forward to on our next visit. Those are Almond oil, Sesame, Walnut and White Truffle oil. The first three sell for $18.95 and the White Truffle for $38.95 in a 375 ml bottle, which seem very reasonable to me. While we were drawn to the shop for it’s olive oil, be became extremely excited about their vinegars. Where to start? Well, first of all balsamic vinegar MUST be made in Modena, Italy to be true, balsamic vinegar, just as Champagne is just sparkling wine if it doesn’t come from Champagne France. Oli+Ve offer dark balsamic vinegars in around 25 different flavors. I tried, Fig, Dark Chocolate, Blackberry Ginger, and Peach. There were too many for one visit, but their website will list all of them. Oh, ALL of the ones I tasted were KILLER. Some flavors would make great desert sauces, some would be great BBQ sauces. I tried the Cinnamon Pear on an ice cream sample I was offered. WOW! Specialty vinegars include, premium white vinegar and red wine vinegar. Keep in mind that you aren’t buying cheap boiled down vinegar with added sugar. You are getting barrel aged balsamic vinegar from Modena, Italy. We bought, a 750 ml bottle of the Robust, Organic Mission from California, which had just arrived, for every day use. I got a 200 ml bottle of Eureka Lemon EVOO for dressings, and a 200 ml bottle of Fig Balsamic vinegar. My wife, Darlene bought Dark Chocolate Balsamic Vinegar for desert use. We can’t wait to go back. As another bonus, we received 6 check offs against our frequent shopper card that will get us a free bottle after 10 checks. That won’t be hard at all. Oh, oh, oh, you can also bring back your clean bottle to be refilled and receive a $1 off.